You will never hear me turn down chocolate for breakfast. Leftover chocolate cake for breakfast? Don’t mind if I do! Banana Chocolate Chip Muffins for breakfast? I’ll take a dozen to go, please! 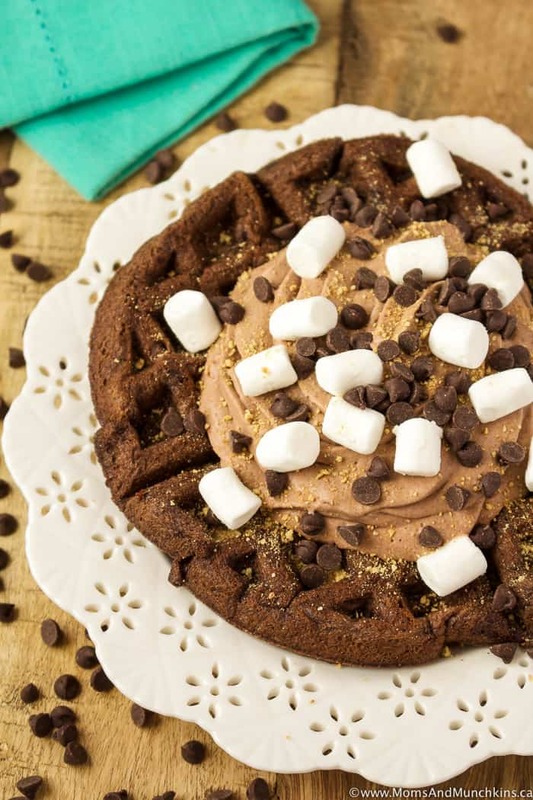 These S’mores Waffles are probably more of a dessert food than a breakfast but no judgement here if you gobble down a few in the morning. I don’t drink coffee so maybe chocolate is what I need to start my day off right…right before I hop on the exercise bike downstairs. 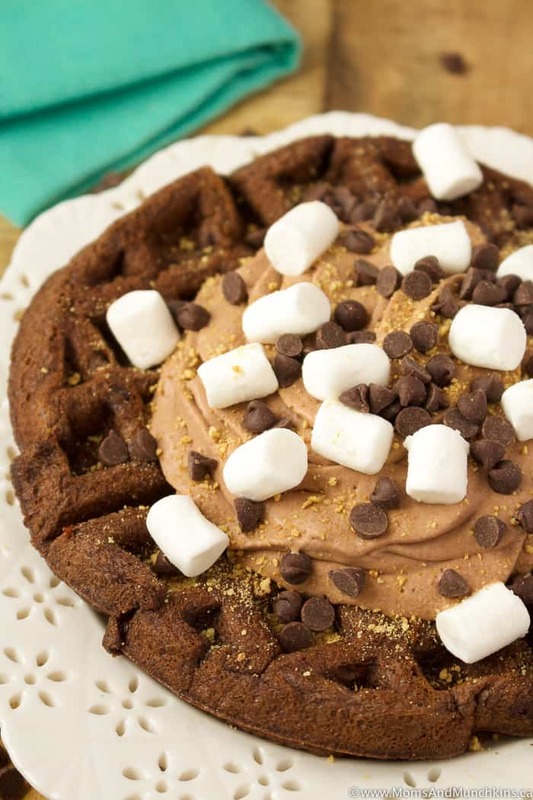 These S’mores Waffles start with a boxed cake mix. Have you ever made waffles with a cake mix? So yummy! I mixed in extra chocolate chips and mini marshmallows into the waffle batter. If you’re going to make the ultimate waffles, it’s best just to go all in with added deliciousness and calories. I topped these waffles with chocolate whipped cream but I feel I need to warn you first that chocolate whipped cream is highly addictive! Seriously, so good! Great on waffles, as a fruit dip, on cupcakes or even just to eat with a spoon straight out of the bowl. So go grab those stretchy pants and let’s get baking! This recipe makes 10 large waffles. Put a large metal bowl and beaters in the freezer for 15 minutes to chill the bowl. Remove bowl from freezer, pour heavy cream, cocoa powder and confectioners sugar into bowl and beat on high until soft peaks form (about 5 minutes). 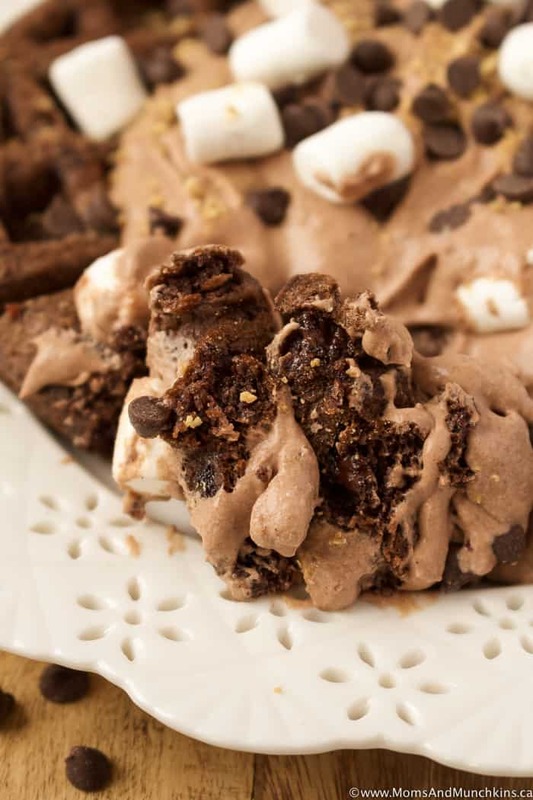 Top waffles with chocolate whipped cream, graham cracker crumbs, chocolate chips and mini marshmallows. Looking for another over-the-top waffle recipe? 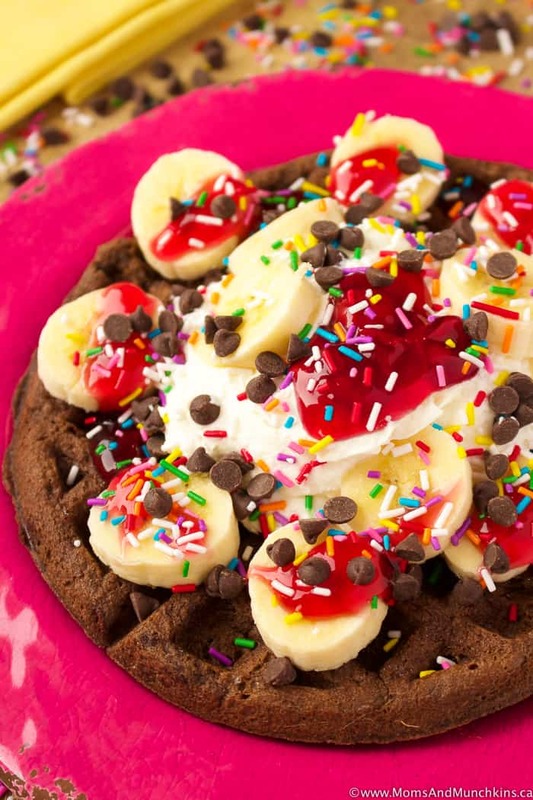 Check out this irresistible Banana Split Waffle. 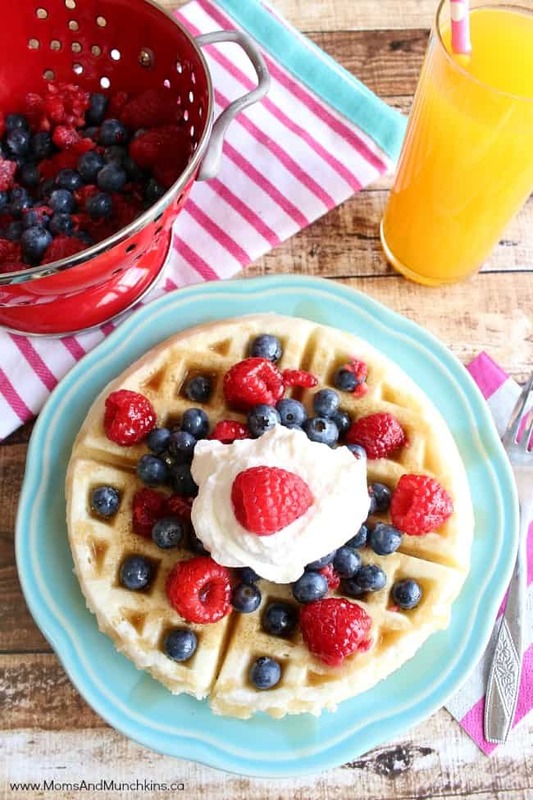 Want to make your own homemade waffles, here is a great waffle recipe made from scratch. Visit our Recipes page for even more tasty ideas. Stay updated on the latest recipes and party ideas by following us on Instagram, Pinterest, Facebook and Twitter.